The James Jay Dudley Luce Foundation has announced this week that six Marietta College students have been chosen as 2015-16 J. Luce Fellows. These are: Mandee Young (Soph., Advertising & Public Relations), Amanda Davis (Soph., International Business, Economics), Matthew Johnson (Fresh., International Leadership Studies, Spanish), Rylie Wahl (Fresh., Undecided), McKenzie Fleeman (Fresh., Psychology), and Celeste Prince (Soph., International Leadership Studies, Psychology). Matthew Johnson, Rylie Wahl, McKenzie Fleeman, and Celeste Prince. Founded in 1835, Marietta College is a private, liberal arts college located in southeastern Ohio where I went to high school. Consistently ranked among the top Midwestern schools by U.S. News and World Report, Princeton Review and others, Marietta College's small and diverse student body enjoy opportunities rarely found at other liberal arts schools. The Fellowship Program is a calendar-year program in which approved Fellows support the Foundation's mission of supporting young global leadership by applying their own specific training and skills, either in person or virtually, to address the challenges of the Foundation. 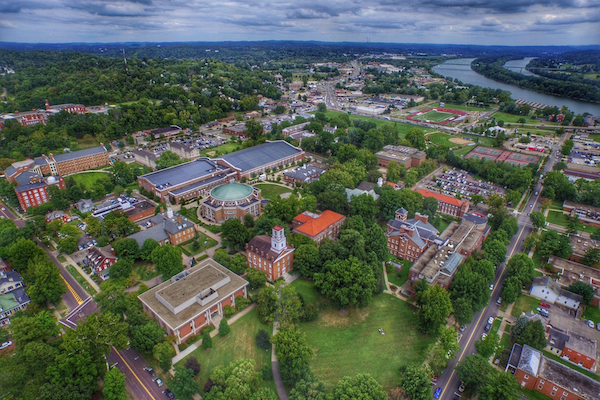 Marietta College is a private, liberal arts college located in southeastern Ohio. Foundation Fellows may elect a Foundation special project, including Orphans International Worldwide (OIWW) and The Stewardship Report (SR), or may choose to assist the Foundation itself in the real-world fields of Branding & Marketing Director, Communications, Development, Finance, Program Development, and/or Public Relations. Similar to McKinsey e-fellows.net scholarships first offered online in Europe, the J. Luce Foundation Fellowship program is open to those based in New York City and around the world. The J. Luce Foundation Fellowship Program brings together exceptional scholars with the Foundation's special projects. 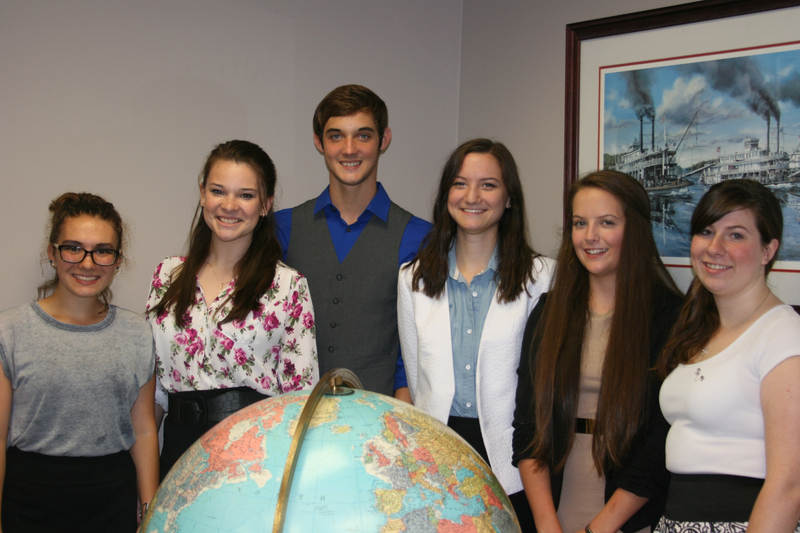 All six are part of the McDonough Leadership Program at Marietta College. I met them all formally last month in Ohio and another group of bright and eager students anywhere in the world would be hard to come by. Last spring, our foundation established a partnership with the McDonough Center. at Marietta College. Photo: Marietta College. 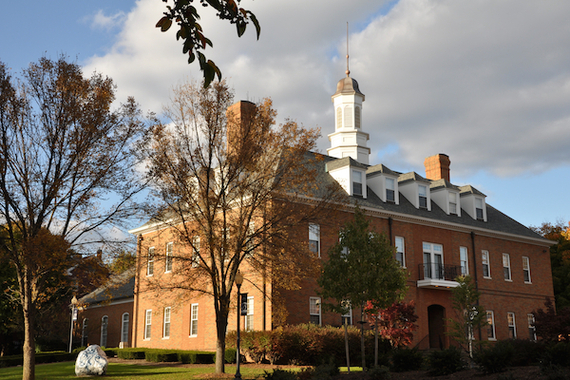 Located on the Marietta College campus in Marietta, Ohio, the The McDonough Center for Leadership and Business was established in 1986 through a generous $5.5 million gift from in honor of the successful industrialist, Bernard P. McDonough (1903-1985). Through his many businesses, Bernard established a strong record of leadership and civic engagement. Today, the Center, under the leadership of Dr. Gamaliel "Gama" Perruci, celebrates this legacy by helping generations of college students study and practice leadership, while developing their own vision of their contribution to the campus community, the local community, and even beyond. This is a strong group with energy and enthusiasm. I have met with these six fellows and began to discuss the specifics of their roles and expectations. I also asked them to draft a short bio that we can send to you with their individual photos. Last spring, I was honored to be co-recipient of the College's "Mister Mac" - the McDonough Award for Excellence in Leadership. During my campus visit, the McDonough faculty and staff and I discussed concrete steps to develop our partnership. 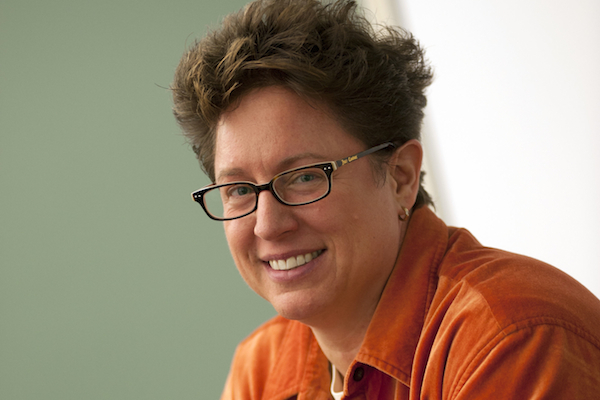 Dean of the McDonough Center. Photo: Marietta College. Dr. William Bauer, McCoy Professor of Education at Marietta College is also vice president of our foundation. I went to high school with Bill who received his Ph.D. in Rehabilitation Counseling from Ohio State and went on to work with my child psychologist mother in the local special needs high school before joining the College. Tragically, Bill's son took his own life a year ago. In response, Bill and his family founded The Bauer Fund within our foundation to not only raise funds for mental health, developmental/intellectual disabilities and suicide prevention/awareness, but also to encourage supporters to perform Random Acts of Kindness (story). The O.S.U. men's swim team is holding a meet Oct. 30 in Columbus in support of this special fund (story). Dr. Joseph and Diane Bruno, President and First Lady of the College respectively. 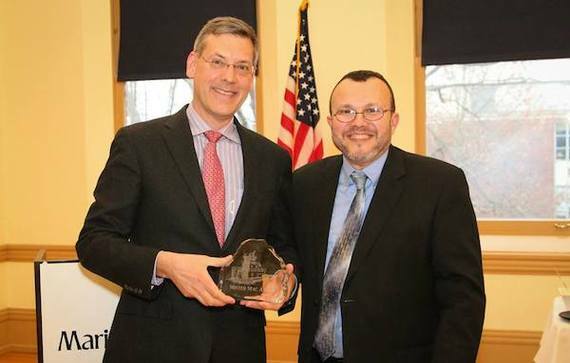 Partnership priorities between our foundation and Marietta College for 2015-2016 include the Fellowship Program as well as editorial support for the Foundation's Stewardship Report on Connecting Goodness, collaboration during the McDonough Leadership Conference next spring, a Social Entrepreneurship Internship next summer, creation of the New York Times Luce-McDonough Leadership Summer Reading List, and Board membership training. I began to speak with the College's Leadership Dean, Gama, last summer and was impressed with how erudite and global his thinking was. When I met him and his family last spring, I was able to add genuine warmth to the list. With a Ph.D. in Political Science, Gama holds a Master's degrees in International Journalism and a B.A. in Economics and Journalism. Gama is a pioneer in the academics of Leadership and serves as a session facilitator for the Rockefeller Global Leadership Program as well as the Management and Leadership Development Program at Dartmouth College's Rockefeller Center for Public Policy. He is the co-author of Understanding Leadership: An Arts and Humanities Perspective. Dr. Gama Perruci, Marietta College McDonough Leadership Dean. 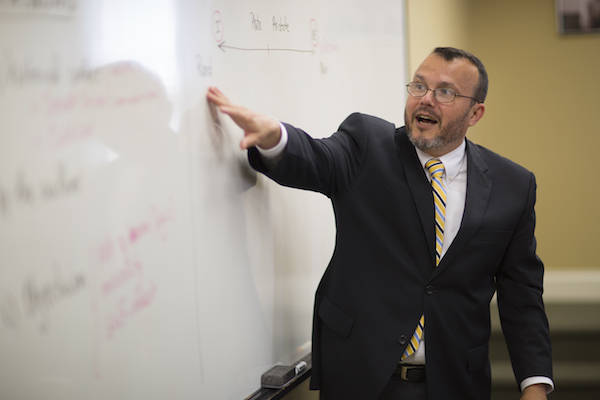 Aside from his teaching, research and administrative duties, Gama also serves as a consultant for The New York Times, focusing on the newspaper's educational programming for leadership students. In that role, he writes a weekly column, Connecting Theory to Practice. He has assisted other institutions, from the United States Naval Academy in Annapolis, to Zayed University in Dubai. Gama is also past Chair of the International Leadership Association and has been a frequent guest analyst for the BBC World Service as well as Radio France. He served as a member of the National Selection Committee convened by Harvard Kennedy School's Center for Public Leadership in collaboration with U.S. News & World Report and The Washington Post. Because of his tremendous strength of character, goodwill and common sense, I asked Gama to serve as a Global Adviser to our foundation, which he agreed to do. I am also enormously appreciative of the support our foundation and Fellows have received from Dr. Joseph and Diane Bruno, president and First Lady of the College respectively. The Bruno's hosted a spectacular dinner for Peter Yarrow and me last month is their Historic Register home. Janet Bland. Photo: Marietta College. Dr. Janet Bland became the College's Provost and Dean of the Faculty this summer and she and I just met last month, however she has immediately become a strong friend and supporter. I explained to her that my step-mother was once Assistant Provost at Miami University in Oxford. In fact, it is amazing how parents and step-parents can influence us. 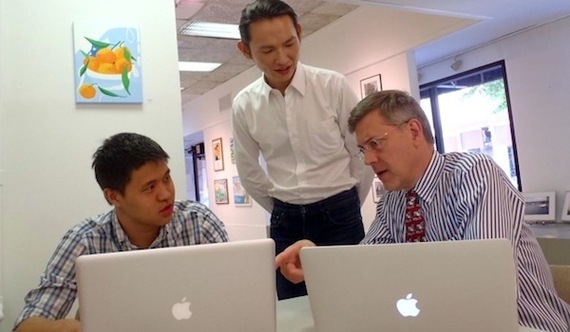 We began our foundation in 2009, inspired by my father who was a college professor (Stanford Livingston Luce, '23-'07). Our mission is to support Young Global Leadership, often in Haiti, Indonesia or Sri Lanka, frequently focused on Education, the Arts, and Orphan Care. The parallel mission of Orphans International Worldwide (OIWW), which was inspired by my mother in 1998, is Raising Global Leaders. Jeremy Hu and the author. Photo: J. Luce Foundation. The Foundation and Orphans International, through our various funds, have raised $1.52 million over the last fifteen years, including having received generous proceeds from four estates. Our children have graduated from OIWW homes and gone on to university. Young global Luce Leaders have gone on to Harvard, Yale, and NYU. The Foundation has funded numerous organizations in the U.S. and abroad, often year after year. The Foundation's Stewardship Report, which began publishing in 2010, has highlighted over 1,750 organizations and individuals uplifting humanity. Our foundation funds - helping Sri Lankan children, people living with mental illness, disadvantaged and refugee children in Greece to name but a few -- continue to flourish, our new Fellows from Marietta College will be a wonderful addition to this trajectory. I went to high school in Marietta and the beauty of its Appalachian landscape and friendliness of its people have long been known to me. One of my mentors, Peter Yarrow of Peter, Paul & Mary, traveled to Marietta with me last month for a benefit concert for our efforts and discovered this goodness for the first time - he was enchanted, he told me (story). Next year we will have twelve Marietta College Fellows. With the continued support of Joe and Diane Bruno, Janet Bland, Gama Perruci, and Bill Bauer, we look forward to continuing to do what we can collectively to better humanity. With the help of our new Marietta College Fellows, young global leadership at its best, the J. Luce Foundation team is positioned to continue its work into the future.